Right now, you may be in the throes of gathering your tax documents for 2017 and preparing for the annual ritual of filing online or with your accountant. But it’s worth noting that substantial changes are on the horizon for 2018. The Tax Cuts and Jobs Act of 2017 was passed late last year, and most elements are already in effect for 2018. This is the most sweeping change to the tax code in 30+ years. 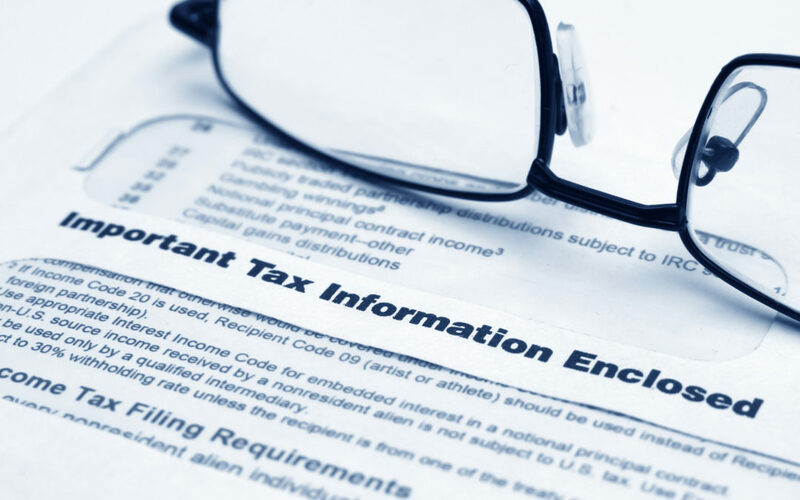 While we do not prepare tax returns or offer tax advice, we are paying close attention — taxes are a key piece of your personal financial plan. 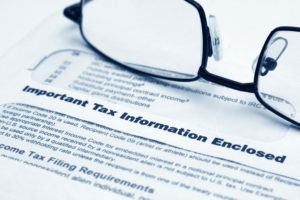 The number of tax brackets for individuals remains unchanged, the rates in each bracket are generally lower than before. The income limits also changed for some of the brackets. Rates went down between 0 and 3% per bracket. Higher standard deduction is one of the biggest changes. For married filers it almost doubles to $24,000 and increases to $12,000 for single filers. The impact of this change is that fewer taxpayers will itemize going forward; the number could go from 1/3 to 10%. This will simplify tax time for many but may negate the tax advantages of deductions such as charitable deductions, mortgage interest and some others. The new law also eliminates personal exemptions, which may blunt much of the benefit of the higher standard deduction, especially for families with children. This was one of the most controversial features of the new law. The deduction for state and local taxes remains intact, but it is capped at $10,000 annually (for both single and married filers). This includes state and local income taxes, sales taxes and local property taxes. For those in high tax areas like mine, this is an effective tax increase. A property tax bill of $10,000 or more on its own is not uncommon for many homeowners (I see you, North Jersey and Long Island), and when you add the state income tax (that used to be an unlimited deduction), this translates to a serious tax hit for many. What impact will these changes have? It could cause a migration of people from high tax states to lower tax areas. If this did happen, it could impact property values in these high cost areas. From a planning standpoint, this could be a good thing if you are considering buying a home, it could be detrimental if you are looking to sell your home say in anticipation of downsizing into retirement. The new laws limit the mortgage interest deduction to interest on the first $750,000 in mortgage debt, down from the current $1 million. This doesn’t apply to existing mortgages. Home equity interest is no longer deductible either. This could significantly impact my clients here in the expensive NYC metro area. For those looking to buy, your house payment could become more expensive on an after-tax basis. For those planning to sell, the market could certainly soften. On the other hand, this looks like good news. The AMT rules were always confusing, and it seems no one ever really understood it in the first place. There was a huge increase in the threshold for phaseout of the AMT exemption. The income levels increased from $123,100 to $500,000 for single individuals, and from $164,100 to $1 million for joint. The elimination of exemptions and the limitation on state and local tax deductions (which were added back to calculate AMT under the old system) further reduce the likelihood of AMT applying. The result is that almost no one with income under $1 million will be subject to AMT. Will anyone miss it? The child-tax credit was also expanded to $2,000 per child. And higher-income taxpayers will be allowed to claim the credit, as the income phase-out increases to $400,000 from $110,000 (for married filing jointly). This partially offsets the loss of the personal exemption of $4,050 which goes away in 2018 under the new rules. I guess it’s good news that 529 savings plans can now be used to fund elementary and high school expenses in addition to the costs of college and higher education on a tax-free basis at withdrawal. But I am torn about the wisdom of this. On the one hand, private school in our area is extremely pricey, and many parents would love to save for it in a more tax-advantaged way. But I do wonder if it may further inflate the cost, especially for parents who receive financial aid. In addition, 529 plans are administered by states, who may be facing budget shortfalls due to the new tax law. Will states eliminate current incentives and deductions? The Tax Cut and Jobs Act of 2017 may make sole proprietorships, partnerships and “S” Corporations more valuable by characterizing income as “qualified business income” and offering a deduction of up to 20% of that amount. That’s the basic idea. But, of course it’s more complicated than that, because there are limitations for “specified personal services” (including financial services providers like me, accountants, doctors, and lawyers) or if your total taxable income is over $157,500 (singles) or $315,000 (married filing jointly). Having employees with W-2 income and certain capital assets can help shield income from the phase out. Consult your tax advisor if this applies to you. As a Certified Divorce Financial Analyst, I am very familiar with the “old” system, which enabled a kind of tax arbitrage for divorcing couples. Alimony (or Spousal Support) was deductible for the payer and taxable income for the recipient. If the recipient was in a lower tax bracket than the payer, this could effectively lower taxes for the family. This is by no means meant to be a comprehensive guide to financial planning under the new tax rules. Everyone’s situation is different. We are certain additional nuances will crop up as the year goes on. Most of the provisions that pertain to individuals are set to expire in 2025. While we cannot predict the future, it wouldn’t surprise us to see many changes again at that time. This article provided for informational purposes only. Sara Stanich is not a CPA and does not provide tax advice. Consult your tax advisor for your personal situation.